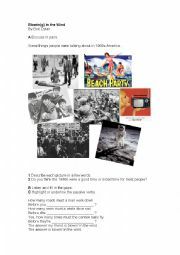 Worksheet and activity cards for using ´could you´/´would you mind´ and ´could I´/´would you mind if I´. Two pages. A listening and discussion activity about Bob Dylan´s ´Blowin´ in the Wind´. 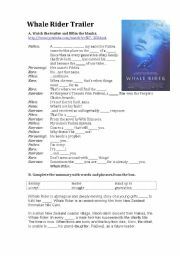 Asks students to identify phrases written in the passive voice. Teachers will need to get a recording of the song. 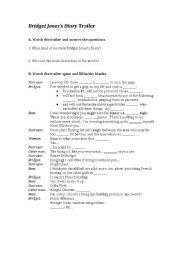 A worksheet to accompany the movie and a fun quiz for after the movie (you can make it into a competition). You must have a copy of the movie. It does not currently include an answer key. Probably also suitable for pre-intermediate. 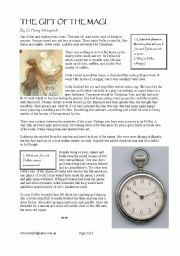 This is an online activity which involves reading two poems with imagery related to hopes and dreams: ´Hope is the thing with feathers´ by Emily Dickinson and ´A dream deferred´ by Langston Hughes. 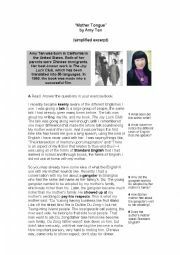 Focuses on imagery and positive and negative connotations of words. For high level students. This is a gap-fill to be used with one of the Bridget Jones´ Diary trailers. As of 9/2010 it could be found at http://www.youtube.com/watch?v=DQdy98B1nf0 Answer key included. 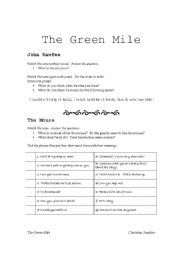 Worksheet for selected scenes in the movie: the scene where we meet John Kawfee, and all of the scenes involving the mouse. It has some strips that need to be cut ahead of time by the teacher. 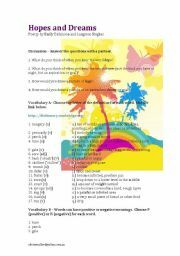 Sorry--it does not currently include an answer key. May also be suitable for pre-intermediate. Example of a formal debate - Should people be allowed to eat on the train? This is an example of a debate. I used it after introducing the format of a formal debate to my students. 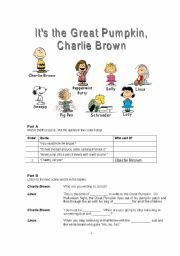 It can be cut up and arranged by students (leave out the headings). See also my ´Planning a debate´ Powerpoint. A short Powerpoint which introduces the structure of a formal debate. 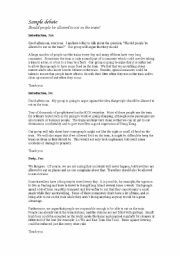 See also my example of a formal debate (written). A simple listening exercise for a beautiful, soothing song. I have set the difficulty of the listening task at INTERMEDIATE, however I think only ADVANCED students will be able to comprehend the meaning. Sorry--this file has been corrupted. I´m trying to have it removed.